THE tendency by some men to urinate in public places in broad day light because of lack of public toilets has angered some Lusaka residents who have called on Lusaka City Council (LCC) and other relevant authorities to step in and arrest the culprits. The residents, mostly women, complained that the conduct by some men to urinate in undesignated areas was a source of concern and a big public nuisance. They claimed that apart from health risks, the stench of urine made the business environment unfriendly and attracted swarms of disease-carrying flies. They said it was shameful and embarrassing for women to see men urinate in public. Grace Chishimba, a trader of Kamwala, said it was unfortunate that men, because of lack of public toilets, help themselves on walls, trees and other similar places. Ms. Chishimba called on the culprits to understand that their actions did not earn them respect from other members of the public. She was aware that the council was doing everything possible to provide public facilities such as toilets and the public must learn to use these amenities. 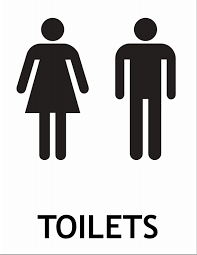 “Some men are just plain stingy and do not want to spend a paltry K1 to use public toilets and opt to urinate in any empty spaces in the town centre,” she said. Lillian Nachilima, a trader at City Market, decried the practice because it was not only disrespectful but a health hazard as well. Ms. Nachilima said some people who suffered from diseases like asthma were sensitive to irritating stenches that could trigger attacks. The LCC public relations manager Mulinda Habeenzu could not be immediately reached for a comment.